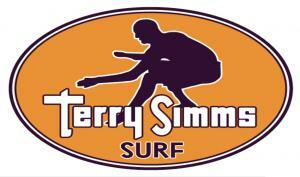 Terry Simms Surf (TSS) offers personal, fully customized surf trips to destinations around the world, as well as surf lessons in the United States. Drawing on 25 years as a professional surfer and 35 years as a teacher, Terry is uniquely qualified to be a surf trainer and travel guide. He has spent his life exploring the globe in search of the perfect waves, and he stays well ahead of the pack in his constant quest for new surfing destinations and undiscovered breaks. Terry’s nickname is the “Stoke Broker” – he considers stokedness to be a highly valuable commodity, and he’s stoked to be doing what he loves every day, and sharing it with his clients. He offers everything from surf trip consultations, to coaching and guide services, to complete trip reservations, and can coach anyone from first-day surfers to twenty-year veterans. Terry focuses on individuals or small groups (six people maximum). His attention to safety in and out of the water is paramount. When clients are feeling safe and in their comfort zone, that’s when they will excel, gain self-confidence, and create amazing memories. Surfing is not predictable – no one can guarantee ideal waves or weather, but Terry does guarantee a unique, five-star surfing experience. His coaching goes beyond just “stand and ride.” Along with safety, he teaches clients about weather patterns, wave judgment, positioning and style, and maximizing wave count, as well as the history of and respect for the sport. Because he wants you to get the most from every day, he offers no time restrictions – as he says, “I’ll surf till you don’t want to,” whether that means one hour or seven. At TSS, coaching begins with the first phone call. Terry has a constantly evolving list of favorite surfing destinations, and he’ll offer his picks based on his client’s criteria and where the surf is best, but he’ll go anywhere in the world his clients want to go. He can recommend accommodations as well, and always has his eye out for cutting-edge, eco-friendly new lodges and resorts. Coaching is easier – and surfing is better – when you are the only ones on the break, and he endeavors to provide that experience whenever possible. Over the past 12 years, Terry has surfed with clients from Bali to the Maldives to Morocco, and built up a following in the process – some of his earliest customers still book trips with him year after year. 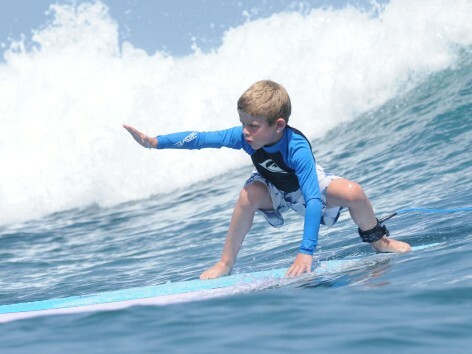 His goal is to help you realize your surfing dreams, and discover what being stoked is all about.